I’ve talked before about how to decide if a destination is safe , but as many of the recent headlines will tell you, mishaps can happen even in “safe” destinations. So, instead of being a worrier, travel with peace of mind with these tips I’ve picked up over the years. They’re what I call “better safe than sorry” tips – my mum would be proud, as many of them are her own travel advice passed down over time. While I can’t prevent disaster, I can help you avoid preventable issues. 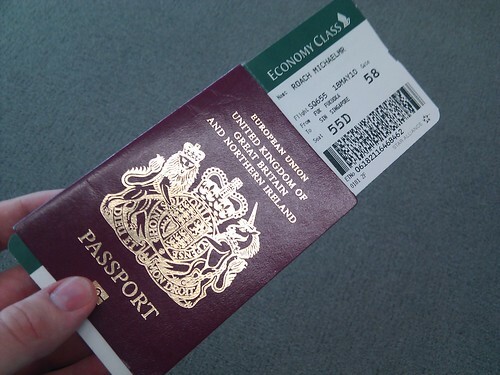 Make a photocopy of your passport pages. You can put a paper copy in your suitcase or somewhere safe, though you might want to do this and drop it online, like in an email folder. Sage old advice that has helped in the event of a lost/stolen passport. Invest in decent luggage. There’s nothing worse than cursing your decision to buy crappy luggage as it digs into your shoulder and your arm burns as the wheels drag across the airport floor. Whether you choose those smooth 4-wheeled gliders or a big backpack, do your homework and try it out if you can. Print out a sheet with all of your travel confirmation numbers. I’ve fumbled with my smartphone more than once looking for a confirmation number needed for boarding this or that. Silly – it’s much easier to just have a printout. Read up on your insurance. I’m not going to get into whether or not you should get insurance, but you probably have some insurance anyway – your credit cards or you own life insurance. It’s good to check up on these things. For example, if your phone is stolen abroad, is it covered? If you fall and break your neck outside the EU, what happens and how will you get home? Talk with your travel companion(s) about expectations. It seems obvious, but judging by the many arguments I’ve seen in airport security queues, on tours and in hotel lobbies, it isn’t apparently happening. Whether it’s your family or your spouse, just ask: What exactly are your priorities on this holiday? If they want to lay on the beach, then let them. Planning ahead always results in avoiding disappointment, as well as saving time and/or money. Don’t get me wrong , I am all for serendipity. But spending just a wee bit of time researching your options, checking on things that require booking ahead or only available on special days, will make sure you enjoy your trip the most, and often you can save yourself some coin. What are your “better safe than sorry” tips? if two of you travelling then split your clothing between you. Then if one bag goes missing you both have something to wear.